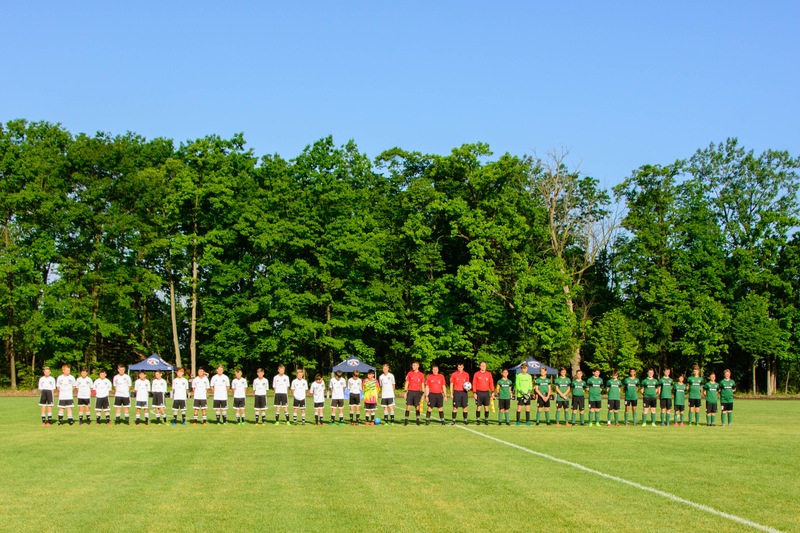 The 04 Fusion Green Boys made it to the Finals of the Michigan State Youth Soccer State Cup before falling 4-3 to the Michigan Jags CW3 team on Sunday, June 4th. The team, Coached by Doug Dahn, started their state cup journey finishing 2-1-0 in group play and by vertue of their overall goal differential, secured the only wild card spot in the 28 team tournament and gained a quarter final spot and a match up with United FC of Grand Rapids. A 6-2 victory propelled the boys into the semifinals and a match against Traverse City T-bays and a June 3rd, 8:30am semi-final kick. In a tighly contested match, MSC went up 2-0 early and held that lead into halftime. A goal by the T-Bays 10 minutes into the second half made the score 2-1 and lead to some tense moments in the final 20 minutes before the whistle blew but when all was said and done, the Fusion 04 boys came away with a hard fought 2-1 victory and a date with a Michigan Jags team that had run over opponents by scoring 31 goals and allowing only 7 to this point in the tournament. On June 4th at 8:00am, an exciting finals match kicked off. The Fusion boys scored to make it 1-0 with the Jags coming back to score 2 quick goals and take a 2-1 lead and Fusion answering to tie it at 2 going into halftime. In the second half the Jags took a 3-2 lead and then, on a Fusion free kick that ripped the back of the net, the referee called a foul and disallowed the goal. One minute later the Jags increased their lead to 4-2. A goal with 10 minutes left put the Fusion team back into the game and with one final push in the final 3 minutes, a Fusion shot smashed off the crossbar.